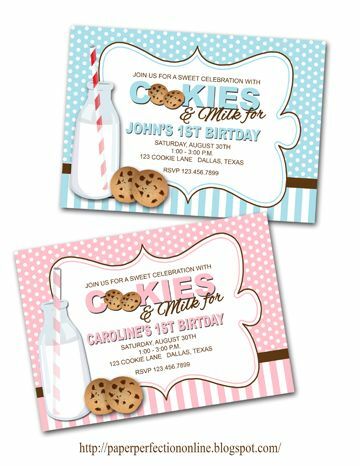 My little one loves chocolate chip cookies so I thought it would be fun to create a milk and cookies invitation for a yummy party! This would be perfect for a toddler's party, a baby shower and even a business event where you serve milk and cookies to employees, clients, etc. If you would like this invitation, matching party printables or a custom design contact Paper Perfection at jtanddolly@yahoo.com for pricing and details.